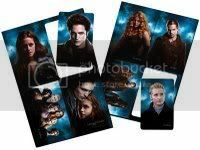 We are all excited to get our hands on the Twilight DVD, but there are so many options out there! On this page we hope to give you a better view of what is included on the standard DVD, as well as the many versions that will be available through different retailers. At this time, single disc versions of the movie will only be available at video stores and Wal-Mart. The standard DVD at this time is a 2-disc version, loaded with special features! Borders will be selling an exclusive special edition of the DVD with 10 photo cards and special packaging. You can order that here for $29.99, though the order may not reach you until April 13, due to its popularity. 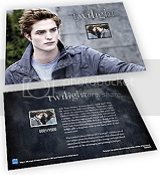 Hot Topic will feature an exclusive Edward movie cell with ever order. The price for this version is $24.99. 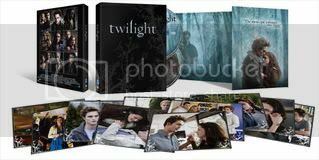 Barnes & Noble is giving away a Twilight skin (you get to choose from about a dozen) when you buy the DVD from them for $26.39. Costco will be selling the Ultimate Collector’s Set ($59.99), which includes the DVD, soundtrack, photo cards, and several other goodies. Their standard 2 disc DVD will sell for $21.99. The Blu-ray version of the movie will be exclusively available at Best Buy and Target until May, when it will become available at more retail stores. You can order the digital version of Twilight on iTunes for $14.99. Target will also be including a free iTunes download of the movie when you buy the DVD from them. There is both a single and a 2-disc version of the movie available in the UK, both of which are released on April 6. The UK Blu-ray is available for £14.98 on Amazon and includes the same features as the 2-disc DVD above. 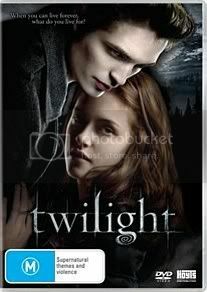 If you order the movie through JB HiFi you can choose an edition that comes with a slipcase that features a copy of Rob or Kristen’s autograph, as pictured below. $29.98. Available at Amazon.de for 17.95 (Euros). Available on Amazon in DVD format for 24,99 Euros and Blu-ray for 27,99 Euros. Here is a list of special features included in this version and a link to more details. 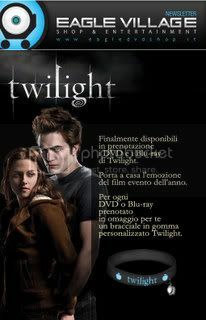 There are several Italian editions of the DVD, including 1, 2, and 3 disc versions, as well as Blu-ray. If you purchase the DVD at Eagle Shop (link above) you can receive a tattoo, cards, a tote bag, and a wrist band, depending on which version you buy. grr, the aus/nz version has the vampire kiss montage,which the us edition i have preordered doesn’t seem to have. but i take it i would miss out on most of the features if i got it? i think the pros of a) more bonus stuff and b) getting it before it comes out in nz (the US one) outweigh that one feature! why can’t they just make one dvd with everything?! i want the borders one too but now that i would have to wait to get it i don’t know if i should.plus it’s more expensive. oh, i don’t know what to di! they should just give every country the same thing! I want the UK version now! Footage of RPattz in a piano concert! Hope it’s on YouTube! Yeah, I don’t understand why they don’t all have the same special features. 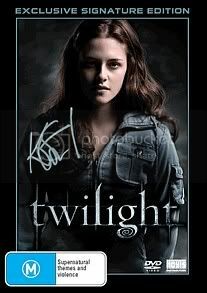 But I’m wondering if the “Becoming Edward”, “Becoming Bella”, “Vampire Kiss Montage”, etc. is in the 7-part documentary in the US version. if u go to sanity (aus) instead of buying the normal one with that little bonus disc you can still buy the 2 disc special editition which seems better.. i wonder if u get that bonus disc with the 2 disc one? i think you might yay! I was wondering; does the amazon/barnes and noble dvd have the same special features as the borders one? hehe.I speak German. I am sure That the cover art will be similar to the rest. thats awsome.. im happy with the one that amazon is selling! 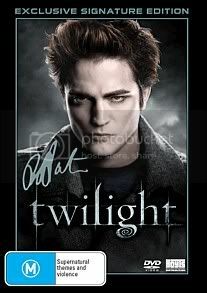 Im so excited for twilight to come out!!!!!!!! So Im stuck all the way over here in NZ… And do we get the boarders special eddition over here ? Oh boy… I freaking out im sooo excited! in Indigo or Chapters in Canada? OMG!!!!!!!!! I AM SOOOOOOOOOO AMPED!!!!!!!!!!!!!!! Oh my God! Why do they have to have various release dates and versions for different places? It’s totally unfair that all you guys over in America are getting free stuff with your DVD when what do the British get? Bonus features. Who even watches those anyway?! 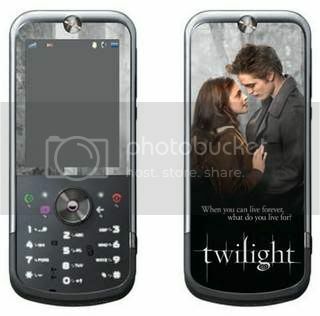 I think it’s totally stupid how I would have to order a version of Twilight from Amazon.com just to get something with it. Heya!! The comment for me hav now started working. systematichaphazard(loooong name 2 type out), we get loads of extra bonus features!! yay us!! i always watch B.F.’s and the dvd is only a pound more expensive than the one disc version. bargain!!!! I’m soooo jealous of u in america because u get the borders version!!!!!!!! but there r more B.F.’s on our one. Britney-The Costco version is for DVD and is 10 dollars cheaper than the Blu-ray gift set from Amazon. They are the same, I think, except for the movie format. Hope that helps! is the audio commentary for the UK 2-disk DVD with kristen stewart and robert pattinson ? it doesnt specify, where as on the other special features it does ! and i have no clue which one to get! Boarders : They’re offering the 2 disc special edition with BONUS “Twilight Tote bag” or preorder online and be in the chance to win $1000 worth of Twilight goodies. Sanity: The one listed above. I agree each country should be getting the same features in the DVD. why cant every1 get the same thing.i want it all now! It’s sooooooo not fair that all the other countries get extra footage. I’m so mad that I want to scream…brb…ok mission accomplished! I really want the CostCo edition but, it is soooo expensive. But, I can’t wait for the DVD to come out, just about 1 more day…AHHHHHHHHHHHHHHHHHHHHHHHHHH!!!!!!!!!!!!!!!!!!!!!!!!!!!!! I’m so excited to see all of the deleted scenes and the commentary with Kristen and Robert! At this point for a Australian resident Sanity is looking like my best option both bonus and price wise:), so cannot wait until April 22!!!!!!! OMG I AM SOOOOO EXCITED!!! Although I don’t think its fair that USA get it early. I live in NZ and we don’t get it untill April, and it is soooo confusing with all the different types of DVDs that you can get. Why can’t they just put all the special edition stuff in the same 2 pack as the movie and send it to all the same countries, so we all get it released at the same time and all have the same special features….. AHHH this is sooooo frustrating LOL. I want my DVD NOW!!!!!! yay! im from the uk and i have just received mine yesterday (2 days early!) edwards piano concert is amazing he is sooo talented! shame it didnt have more deleted/ extended scenes though! Haee..! Dus anyone no when the movie comes out in nz..! I just wanted to tell everyone that today I was watching the DVD special features and paused it at the end of the credits of the 7part documentry. The final images (after the credits) is black but has some writing down the bottom that reads “if you have watched the credits you should be treated for OCD…Obessive Cullen Disorder”. I cannot stop laughing at that! Log in | 51 queries. 1.084 seconds.